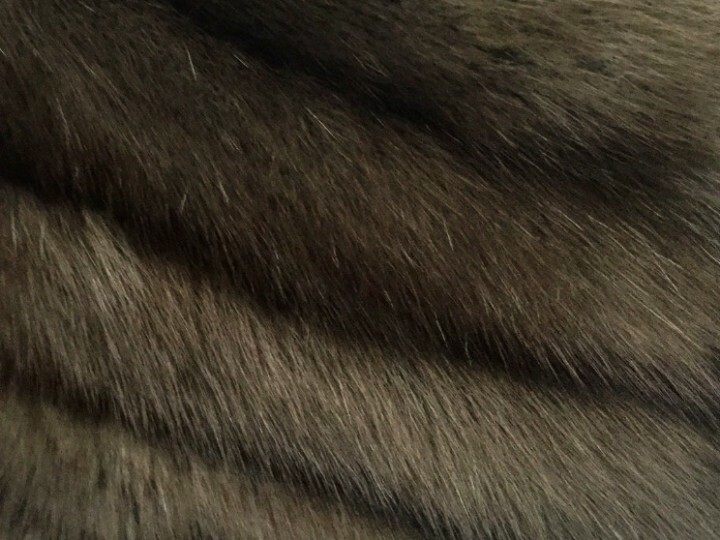 Welcome back to another installment in our fur series! With today’s blog, we will focus on coyote fur. Coyotes themselves are native to North America and are well known for attacking domestic and farm animals. Due to this unfortunate nature, they are often considered pests by many. The color of the back of the pelt varies from pale grayish-brown to yellowish-grey, with thick, paler, tawny underfur (puck) and long, black-tipped guard hairs that form a dark back stripe called grotzen. The underside tends to have a buff or white color. The forelegs, sides of the head, muzzle, and paws are reddish-brown. The long-haired fur is durable and warm and makes luxurious coats for both men and women. It can also be used as trim on another garment, which really can add a uniqueness to a piece. In the fur industry, the most favored pelts come from Montana as their color is the very pale and more desired for garment making.